A perfect double Flap door and bar flap door cabinets are very popular. An illuminated glass underfloor illuminates the entire cabinet interior and the surface below. 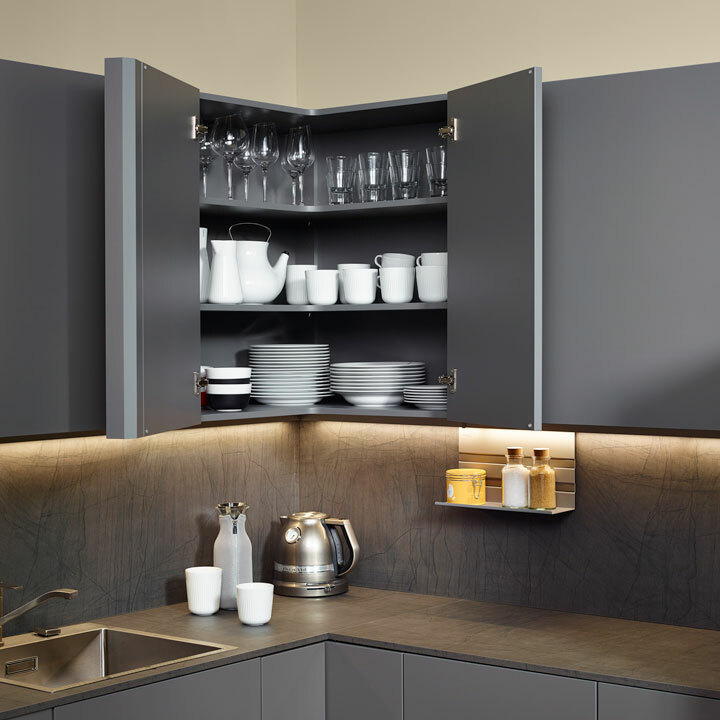 The integrated handle bar or the already integrated Tip-On in the bar flap cabinet allows handleless opening and a puristic appearance by omitting additional handles. 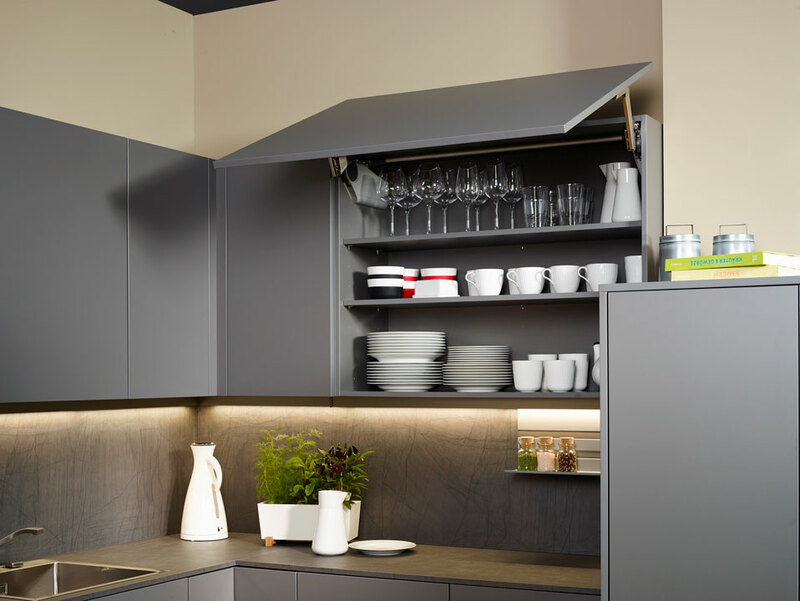 Wall cabinets with bi-fold lift-up door …here shown with built-in drainboard, offer the possibilty to store washed off dishes immediately. Excess water is collected in a drip pan, which can easily be removed and emptied. Waste separation High quality garbage collection and separation units with removable containers enables you to collect household garbage and kitchen waste almost odorlessly and in a sanitary way. 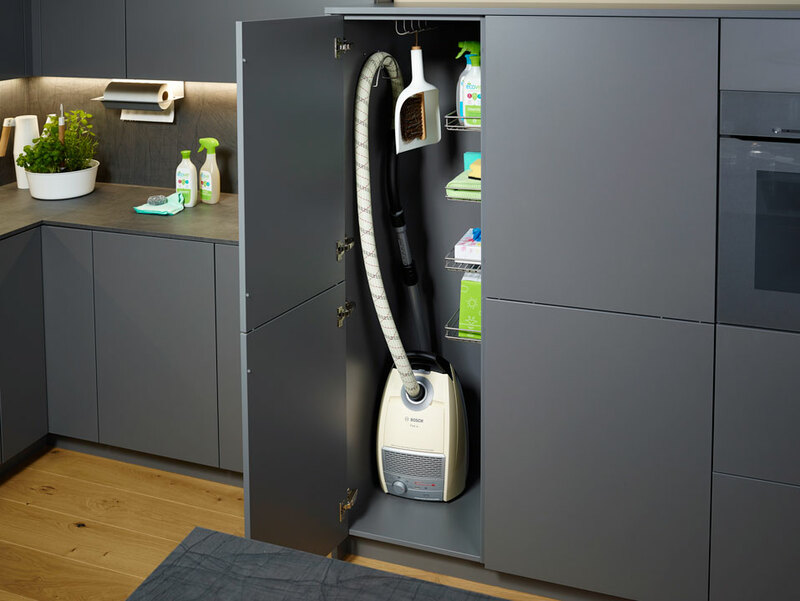 Additionally there is storage for cleaning products. Make use of every corner The doors of this corner solution with 3/4 Lazy Susans are turning through the cabinet’s inside. The automatic closing speed can be adjusted without any tool. Tall cabinets as storage room wonders The broom cabinet with tray, hook rack and hose bracket can store bulky household items. Tall cabinets as storage room wonders The trays of the Tandem Solo are pulled out at the door opening and provide fast access also to the rear goods. Towel holder & Co.: Small pull-outs with different functions in confined spaces. 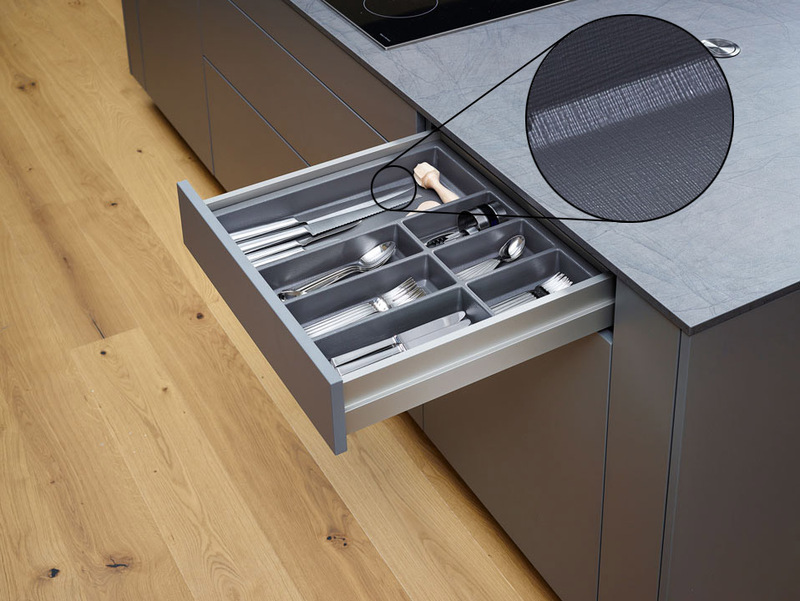 Inside organisation of drawers Plastic cutlery tray with an exclusive textile structure. Tall cabinets as storage room wonders The Tandem system combines optimum overview and easy access. The rear cabinet content is automatically moved forward. 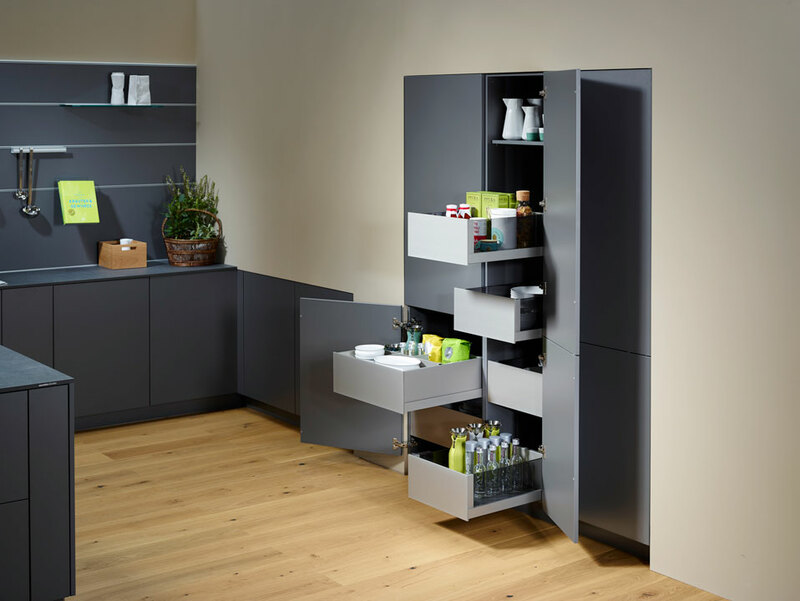 Tall cabinets as storage room wonders As tall or base cabinet, with adjustable shelves, two-side operation and suitable accessories, the apothecary cabinet meets every organisation desired. 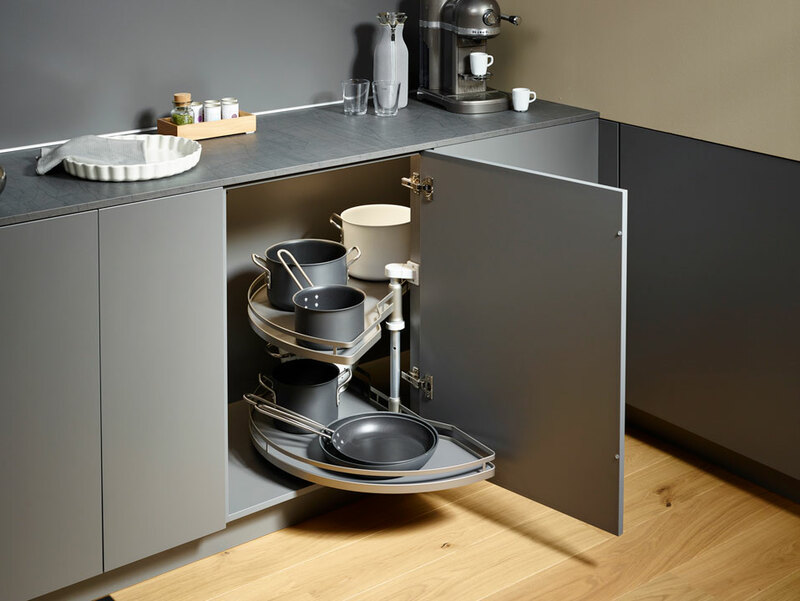 Make use of every corner The individually movable half round lazy Susans prevent long searching in confined spaces with a lot of overview. Make use of every corner LeMans-swing trays are the result of technology and design in perfect harmony. 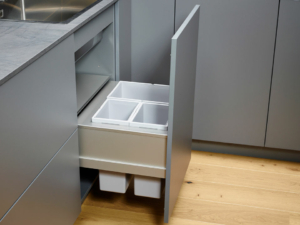 Individually height adjustable, the trays can be swivelled out easily with just one finger – even fully loaded (25 kg per tray). This system is also available as tall cabinet. 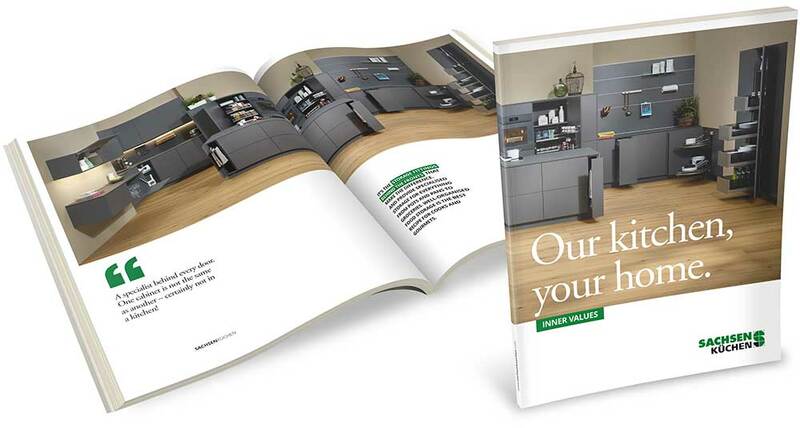 Tall cabinets as storage room wonders With their elegant and modern design, functional pull-outs are great eye-catcher. The box-frame with closed sides not only looks good, but also prevents the lateral dropping. 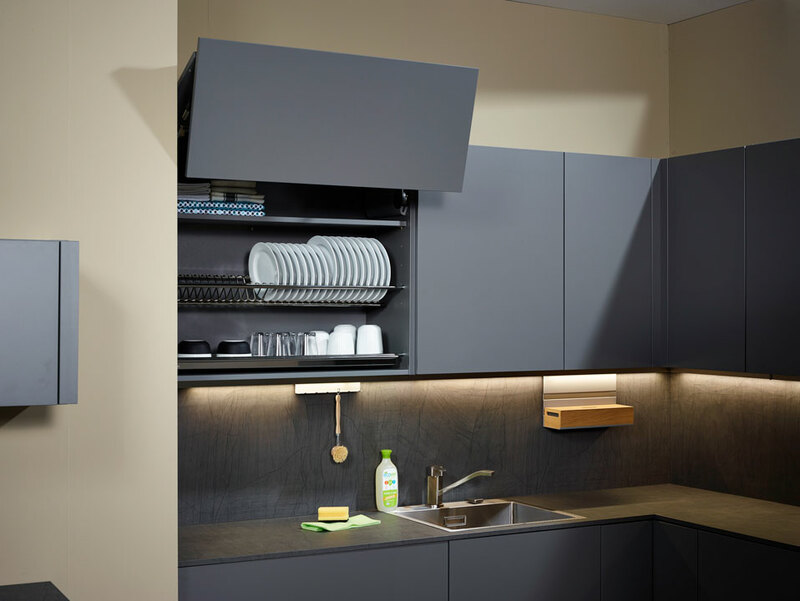 Our kitchens don’t just look good, but with the use of different fittings and fixtures they also offer solutions for every problem. The interior equipment ensures that everything in your kitchen has its place, is mounted quickly and optimally is in access. 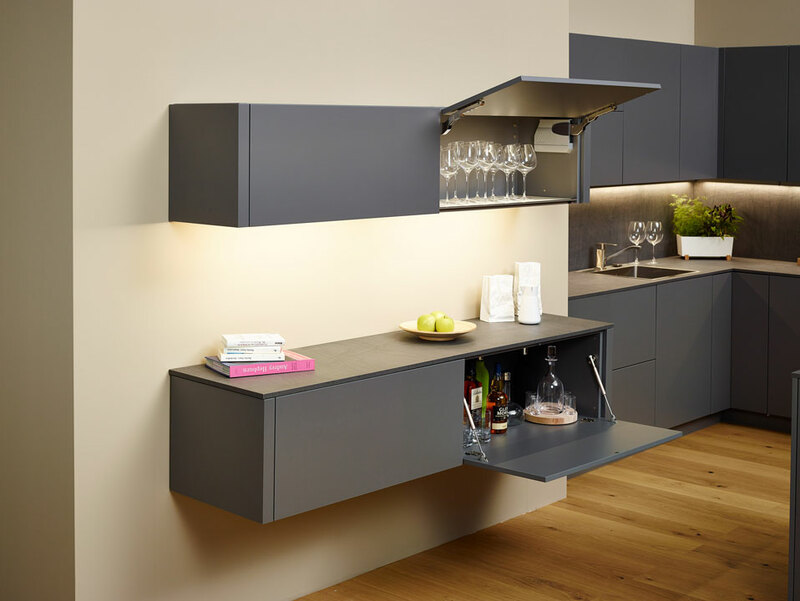 And it perfectly combines beauty with practicality – this saves space and time. Look for yourself!